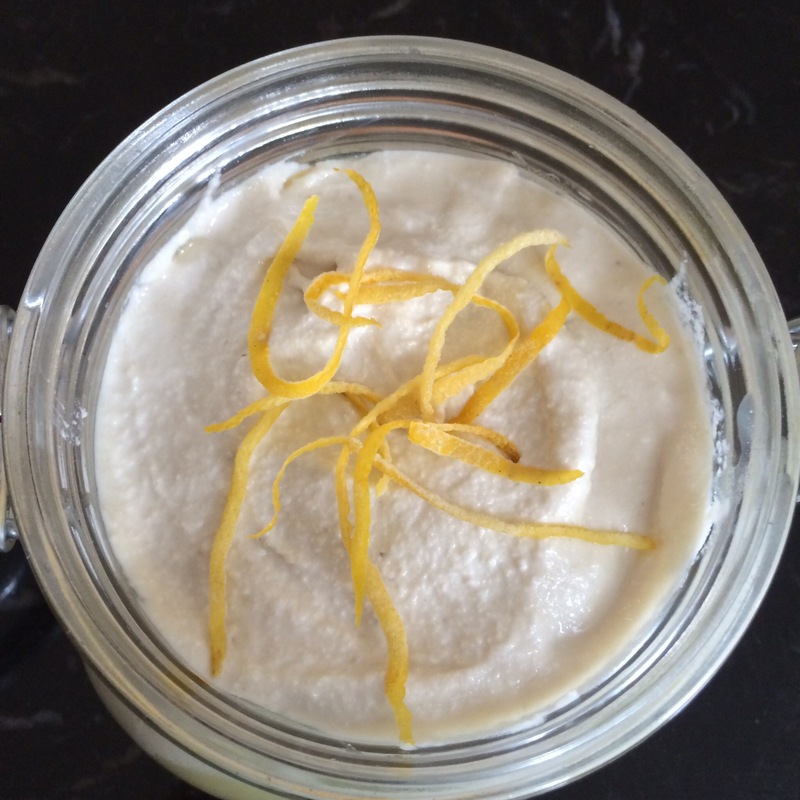 I’ve been dying to create something new with my lemon curd for a while now. I’m a massive fan of lemon meringue pie so I was thinking along the lines of a healthy meringue pie but wanted something more “puddingy”. 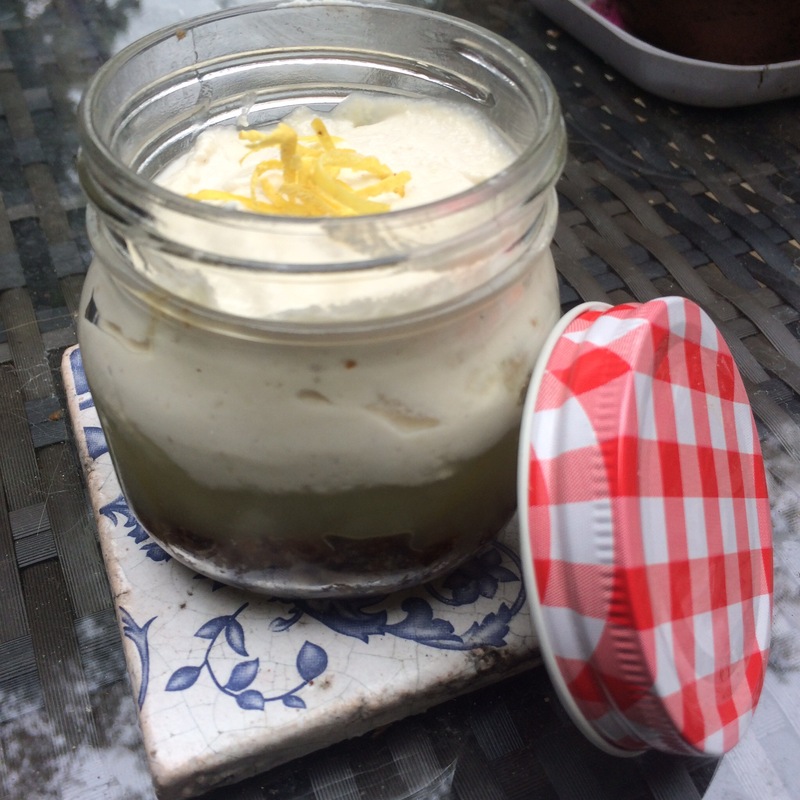 So I decided to create a cheesecake-inspired layered pud instead and lo and behold this squishy, goey, sweet, lemony jar of goodness was created! Not only do these taste heavenly but they’re full of goodness and I think they look pretty cool too! 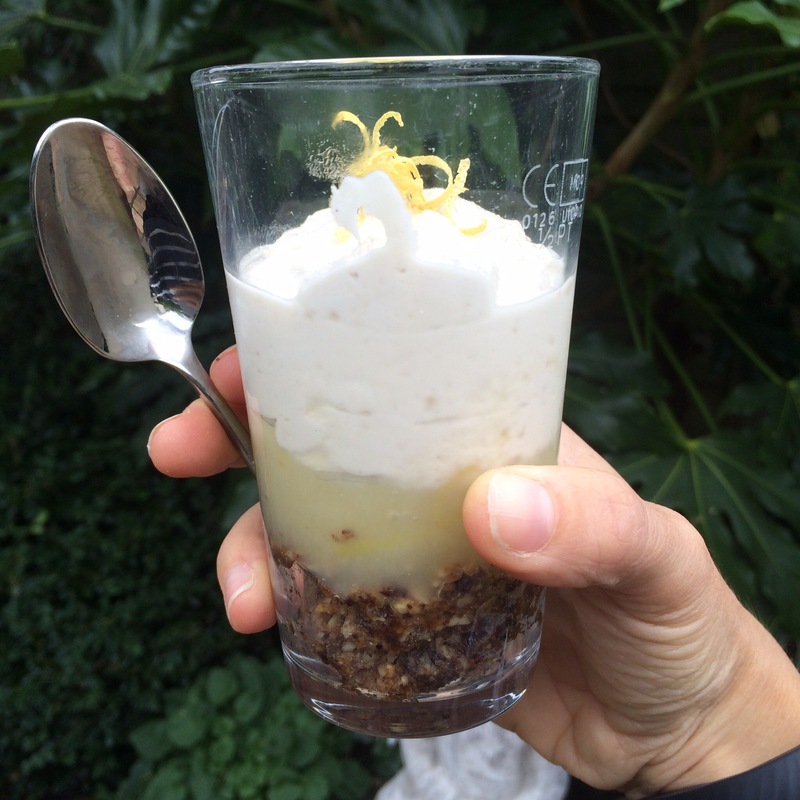 They’d make fab individual desserts for a dinner or lunch party. It passed the test of my chief taster and lemon curd fiend Colette and even managed to please my friend Dee who’s a self-confessed full fat, full sugar cheesecake addict! 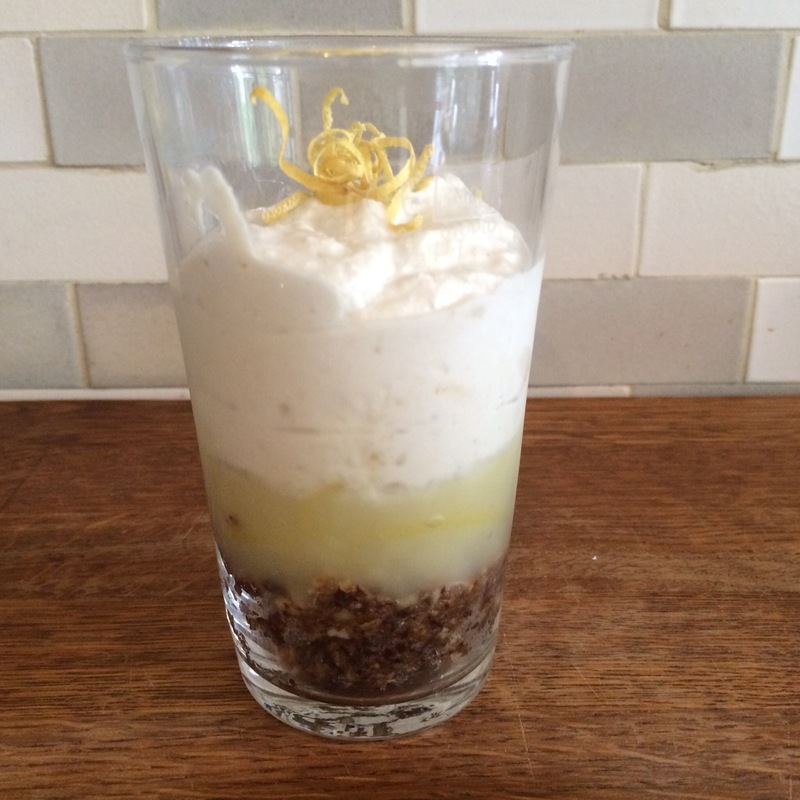 There are three parts to this pud: the base, the filling and the topping. It does require a little preparation in advance (for the filling and topping) but it’s super quick to put together after that. Now depending how much you want to make you can adjust the quantities below. I tend to make big batches of all 3 components and then put together a few puds but also eat the various components on their own too! It will also depend how large your pud containers are. All of these components can be made in advance – the curd will last several weeks in the fridge, the base will be fine for 1-2 weeks and the topping will last a week in the fridge. So you can always prepare all the bits a few days in advance and then pop it all together on the day! The puds themselves will last a good few days in the fridge (if you can resist eating them!). First things first soak the cashews overnight (or for as long as you can) in water (so that they are well covered). Drain and rinse them and then pop them in to the blender. Start by adding about half as much water as cashews to the blender and give it a blitz. Continue adding water until the cashews are smooth and you have the consistence of cream that you want – less water, thicker cream! You want it quite thick for this recipe. At this point you can pop it in the fridge while you do other bits. 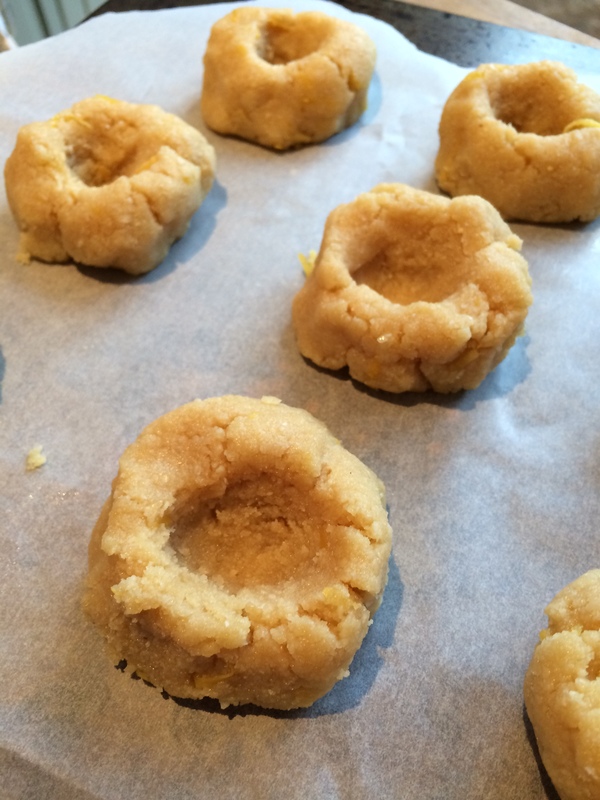 You will need to make a batch of curd for the filling! I always have a jar in my fridge (I get palpitations when I start to run low 😉 ) so this is always on standby for me. The recipe has been posted before (here) but here it is again for ease. Juice and zest your lemons. You only need the zest from half of the lemons but it’s worth zesting them all and keeping the remaining zest in the freezer to use in other recipes later. Place the lemon juice and water in a cold saucepan. Add the cornstarch and whisk to dissolve. Add the sugar and turn on the heat. Continue to whisk as you bring the mixture to a boil slowly. Once boiling allow it to boil gently for one minute without stirring. Add the rest of the ingredients, whisking the whole time, and cook for 3 minutes. Have a little taste – if it’s not sweet enough for you then stir in some more sugar. 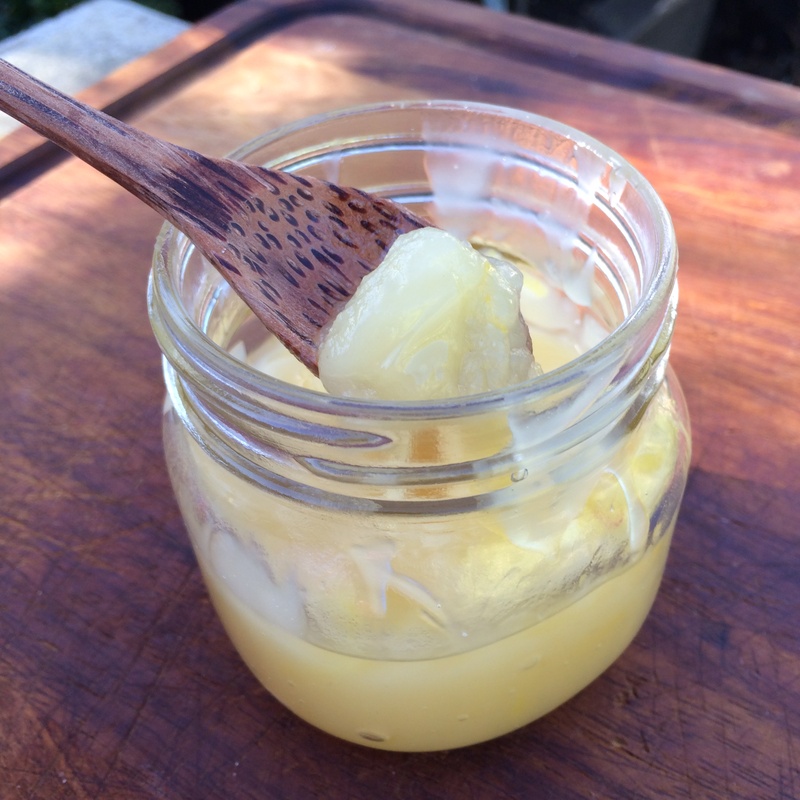 Remove from the heat, pour into a bowl or jars and allow to cool. Place in the fridge once cooled. Pop all of this lot into a food processor and pulse until blended and well combined. It will come together to form a sticky dough. If it’s not sticky enough add some more fruit and a little of the water from the dates. If it’s too sticky you can add some more nuts. Adjust the amount of lemon zest to taste. You will need some jars, glasses, ramekins, or whatever you fancy serving this in. First take a few spoonfuls of the base mixture and press well into the base of your chosen jar. I like to have a depth of 2-3 cm, but obviously you can add more or less as you like. Then add a generous layer of lemon curd – this curd is beautifully tart so you don’t need a huge amount – I used about 1-2 cm. Finally take your topping and stir 2 – 4 tbsp lemon curd through it (adjust to taste) and then layer on the top – as thick as you want! Finish with some lemon zest. Keep in the fridge until you’re ready to devour it! 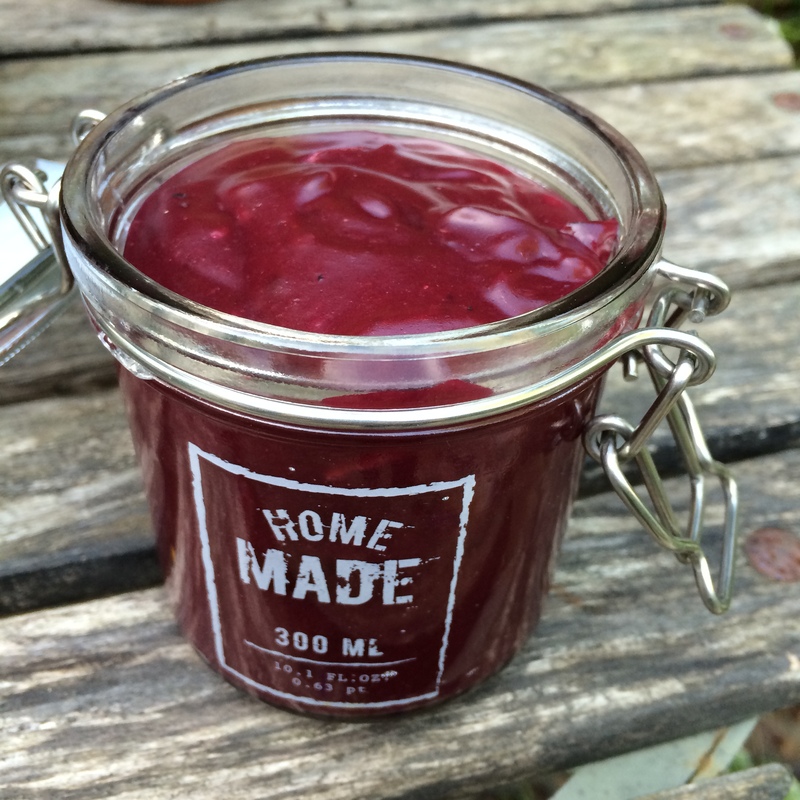 Blueberry and Lemon Curd with a surprise ingredient – dairy and egg free! 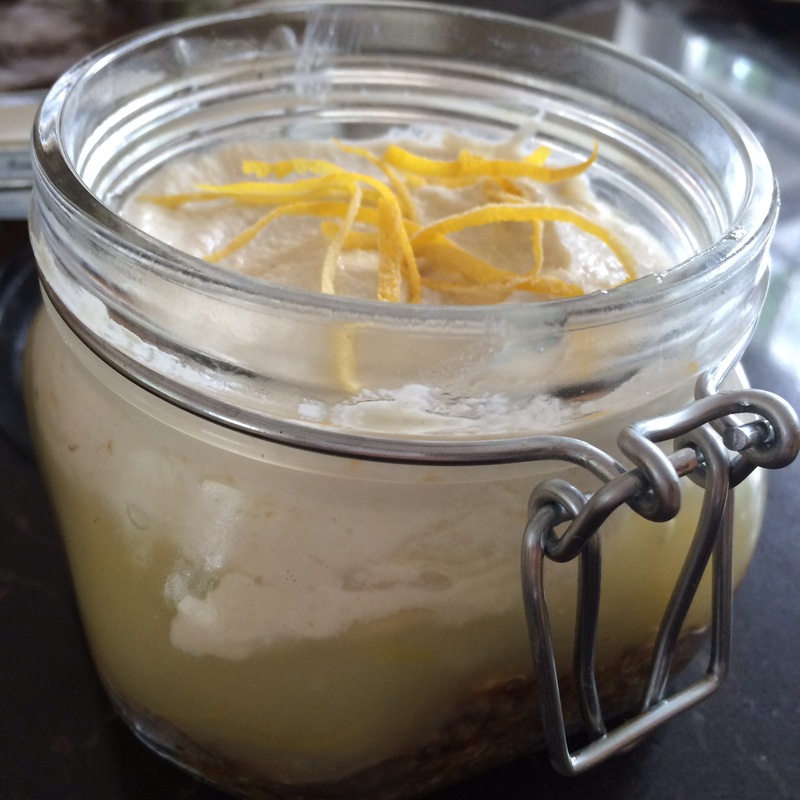 My lemon curd recipe (here) has gone down a storm so I thought I’d have a little go at some more curd! I’ve had some blueberries in my freezer for the last few months waiting to be used for something so I decided a blueberry and lemon curd was the one to try! What’s this surprise ingredient then? Well it’s certainly not something you’d expect to find in a fruit curd! The problem with blueberries in baking is that they do tend to lose their flavour and I didn’t want to overpower them with the lemon. After a bit of research I discovered a nifty little trick to enhance the blueberry flavour; the addition of coriander seeds! Trust me you will not taste the coriander at all but it does bring out the blueberry flavour. 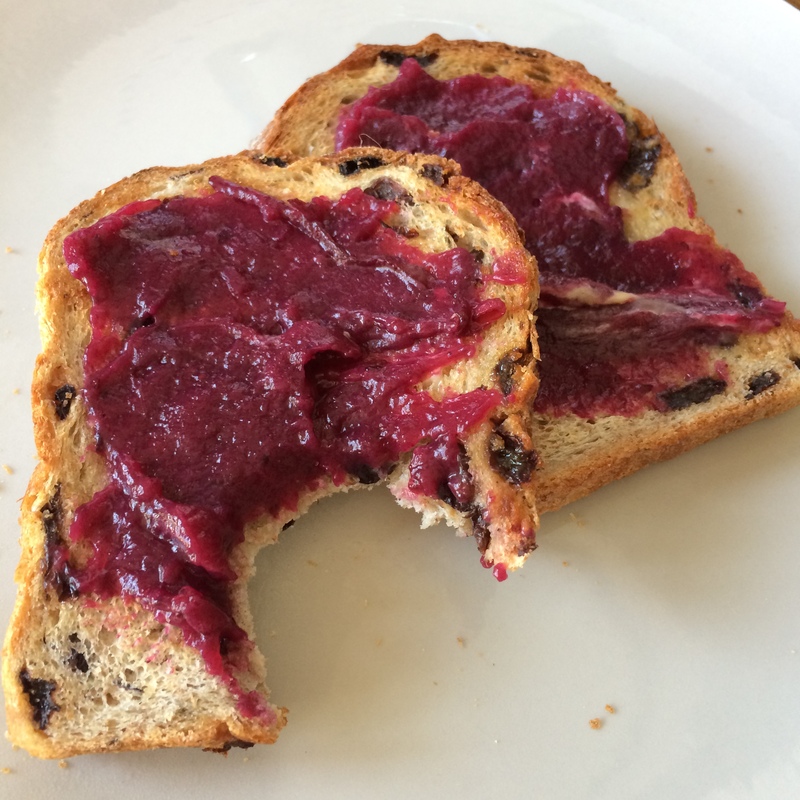 This is because they both contain a similar compound so adding the coriander gives the blueberry flavour a real boost! Pop the blueberries in to a saucepan with the water and heat gently until the blueberries are softened. While the blueberries are softening you can juice and zest your lemons. You only need the zest from 2 – 3 lemons but it’s worth zesting all of them and keeping the remaining zest in the freezer to use in other recipes later. Measure your blueberry juice out – you need a total amount of liquid of 3 cups. 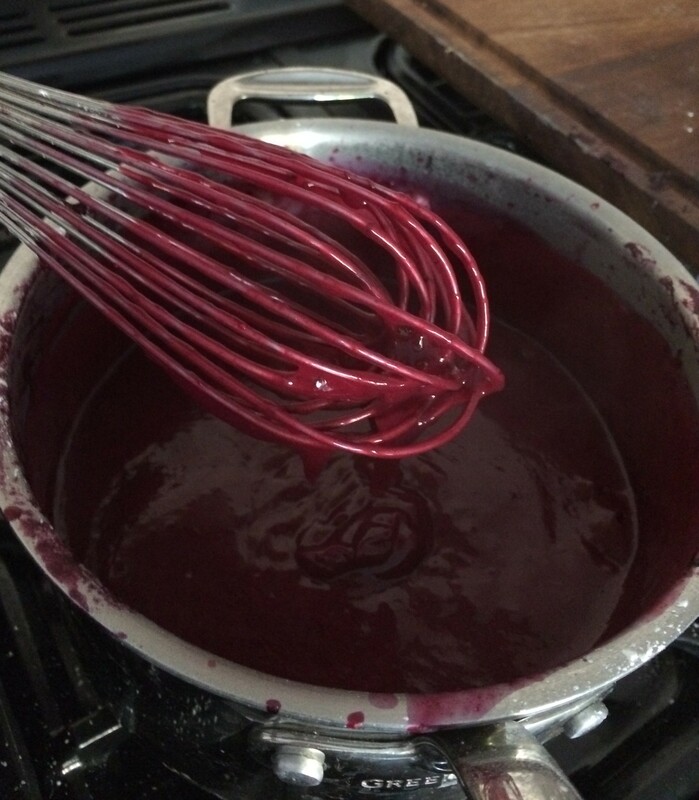 The blueberry juice will be about 2 cups or so, so make it up to 3 cups with the lemon juice. Place it all in to a cold saucepan. Add the cornstarch and whisk to dissolve. Add half the sugar and turn on the heat. Continue to whisk as you bring the mixture to a boil slowly. Taste as you go and add more sugar until you get to a sweetness that suits you. Once boiling allow it to boil gently for one minute without stirring. 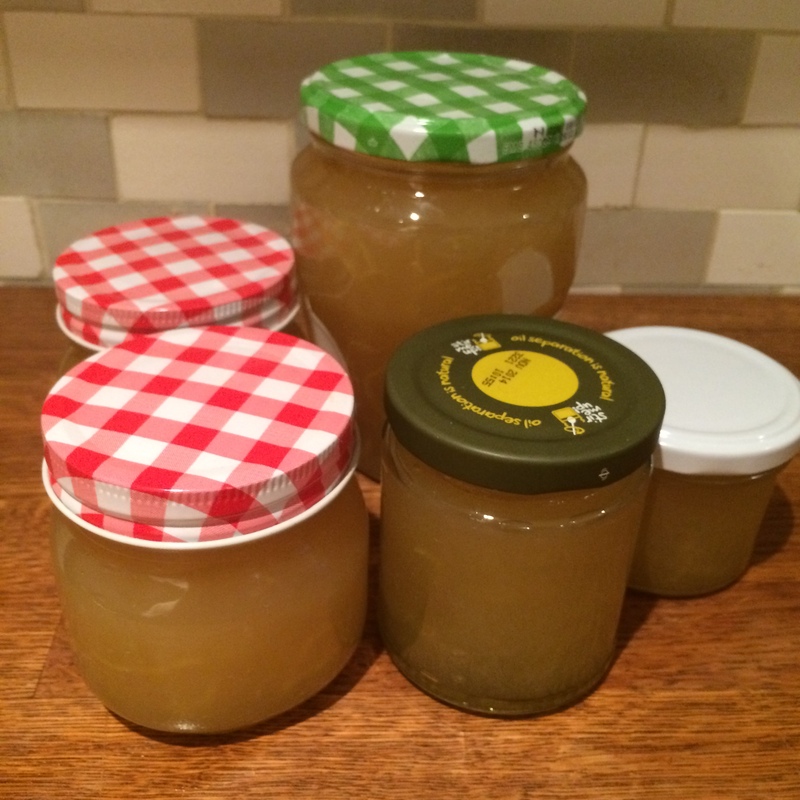 Having made a big batch of lemon curd (recipe is here). 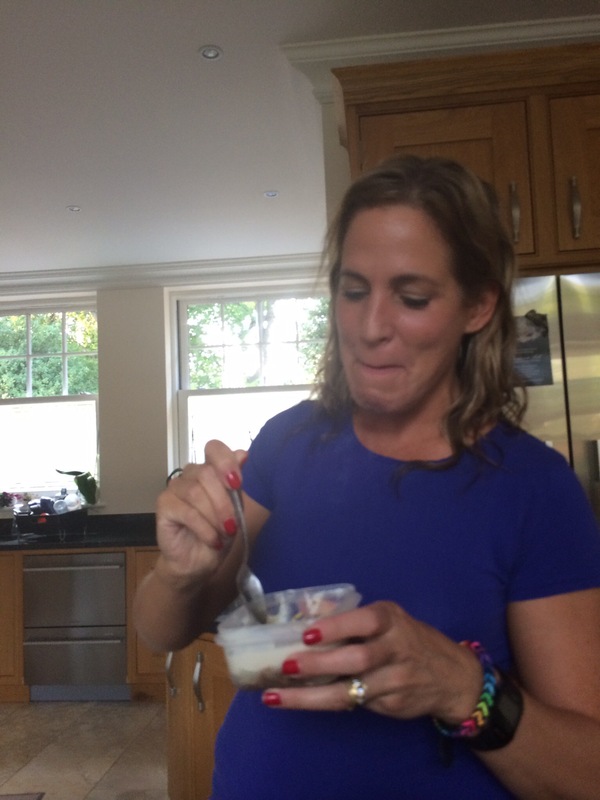 I thought I’d better find some yummy ways to use it! 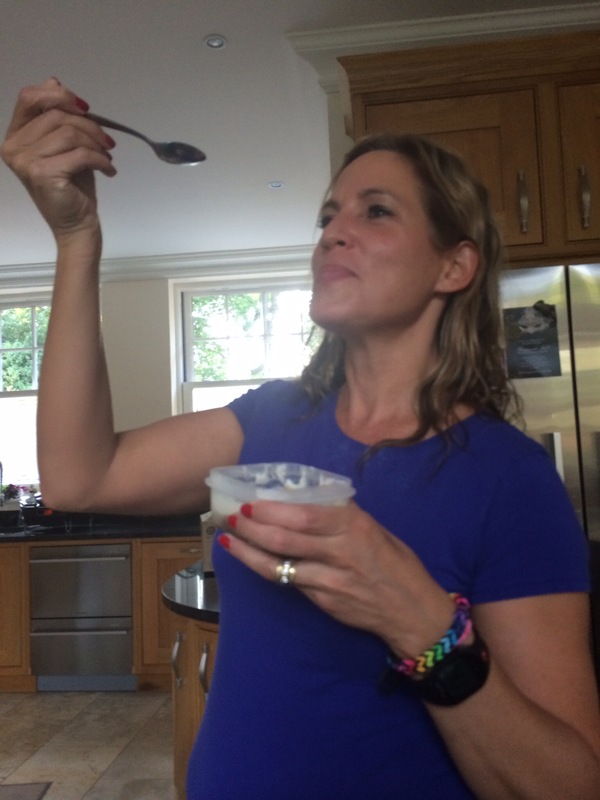 Now I could just eat it straight from the jar (and actually I do! 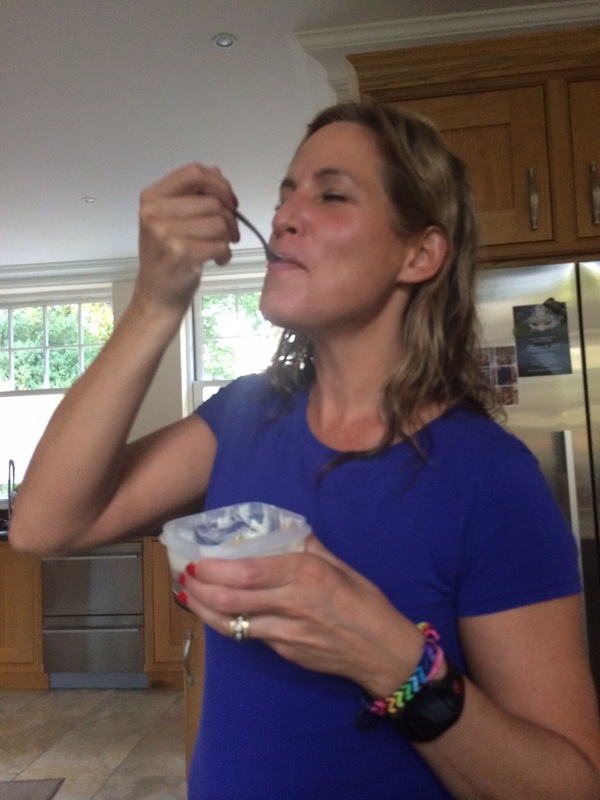 ), or with yoghurt and fruit for brekkie…. 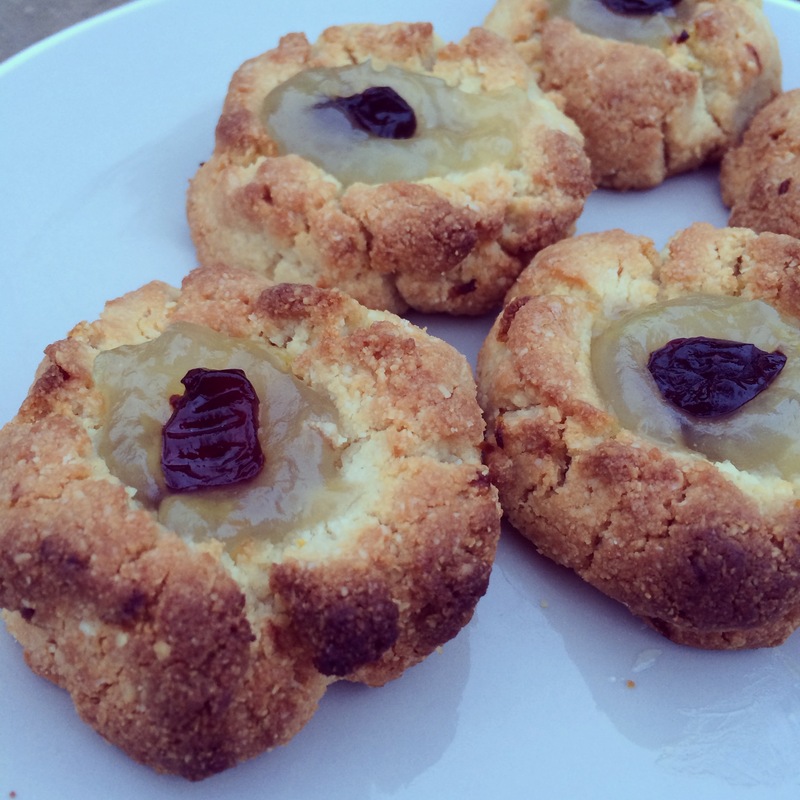 … but… it’s also pretty delicious combined with almonds in these divine little biscuits. They are super easy to make and take less than 30 mins. Place the ground almonds, baking powder, salt and lemon zest in a bowl and mix well. Add the vanilla extract, maple syrup and coconut oil and use your hands to mix into a dough. Take tablespoon-sized portions of the dough and place on a greased baking sheet. Pat down and then use your thumb to make an indent in the center. Place the tray in the oven and bake for 10 – 12 minutes. After 5 minutes check them and if the indents are starting to close just gently use your thumb to re-shape them. Bake until they are brown. If you like your biscuits a bit crunchier then bake a little longer. Remove from the oven but leave the oven on. 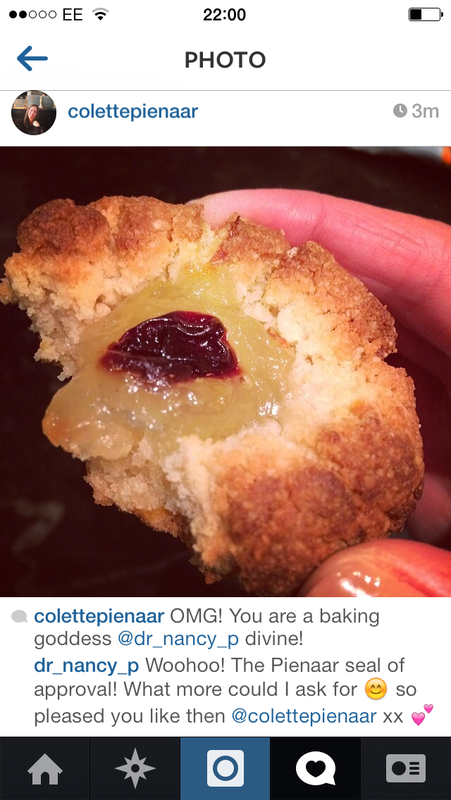 Fill the indents with lemon curd and place a dried cherry in the middle. Pop them back in the oven for 2 – 3 minutes. 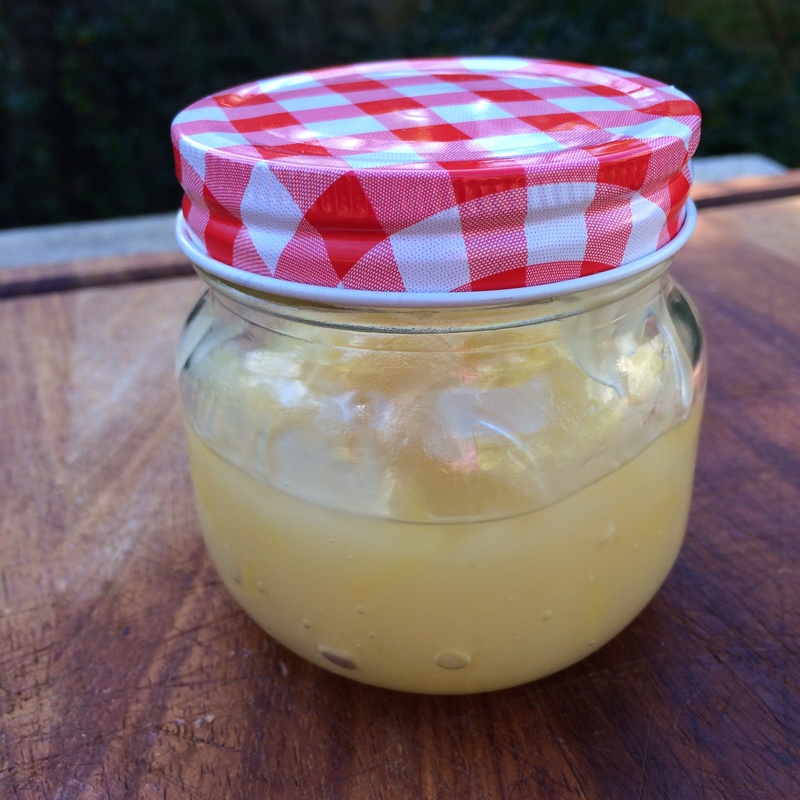 I’ve been on a bit of a lemon obsession lately so decided I would have a go at making some homemade lemon curd. 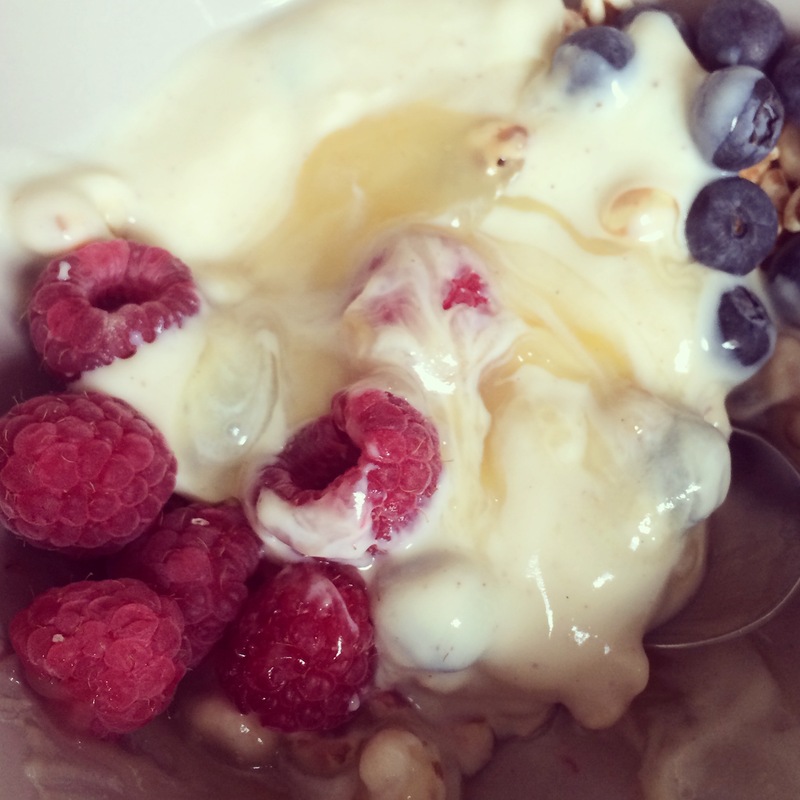 The curd you buy in the shops is full of refined sugars, dairy and eggs so this is a much healthier option. It was super easy to make too! This is divine mixed with some natural soya yoghurt, or of course it will make the perfect filling for a lemon meringue pie (recipe here)!